Bell Flow Systems has been featured by Industrial Process News as their Company of the Month, May/June 2018. The full issue of Industrial Process News can be viewed online - Issue 673. 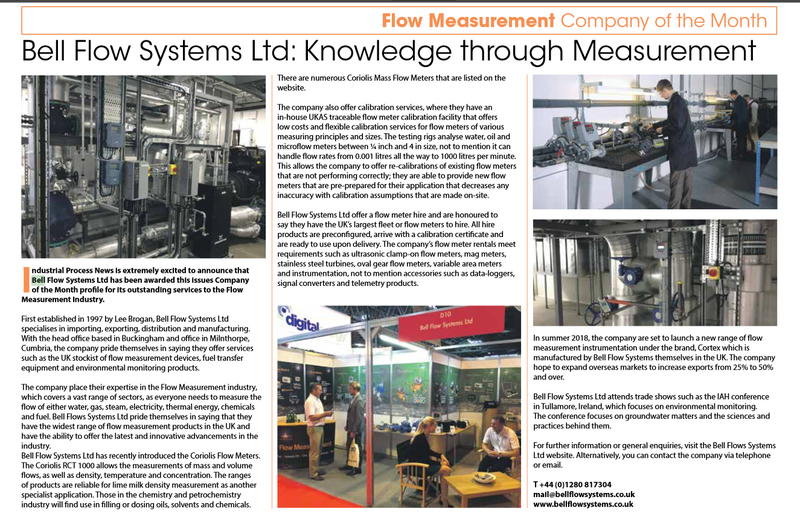 Further featured articles about Bell Flow Systems and flow measurement products can be found in our press section.